I want to share with you one of my life's turning points, creatively speaking. The early 1970s found me in a very exciting period in my life. For one, I was emerging from the 1960s, had finally found someone who wanted to marry me (and vice versa), was discovering fatherhood, and was committed to making my living as an astrologer, come hell or high water. Equally important, after a lifetime of looking out at the world, I was also learning to look inward at the mind itself. And the mind, as I was then finding, is a vast storehouse of treasures, perhaps the last great frontier that remains to be explored, at least by we Westerners. The Tibetan Buddhists had planted their flag in the mind centuries before. In the early 1970s I was unearthing some of the hidden treasures of astrology and sharing them with the world. The Buddhists legends state that astrology entered our world system long ago when Manjushri (the bodhisattva of transcendental wisdom) appeared in Wu-Tai-Shan in China, five-mountains in the form of a die (as in dice). It is said that from the top of Manjushri's head poured the 84,000 astrological dharmas, which were then given to humankind, most eventually hidden in the mind itself. I have written of my visit to Mt. Wu-Tai-Shan before and I post my story at the end of this article for those interested. Anyway, one of the mind treasures I came across is the complete system of planetary nodes, the intricate crystalline structure of the solar system itself, which it turns out is one of the keys to understanding chakras. I don't want to get too technical, but let’s just say that astrology is mostly about nodes, intersection points, where two forces or qualities come together and meet. Astrological points like the Ascendant, Midheaven, house cusps, and so forth are all nodes. Since most astrologers don't consider latitude, aspects also are nodes. With the help of a friend, mathematician David W. Wilson, I calculated the precise system of planetary nodes for the entire solar system, the exact zodiac positions where the planetary orbits crossed (were inclined), plus the points where they were farthest apart (disinclined). I published all of this in the book "Interface: Planetary Nodes" in 1976, and you can find a link to a free copy of that book below. I did all of this because I had a mini-revelation about what this system of nodes meant for us. I was in the process of unearthing one of the astrological treasures that had been left for us to find in the mind by Manjushri. The complete system of planetary nodes is a concise map of the essential power points of the planets and the entire solar system, finally the physical signature of the chakras that we hear so much about but know so little of. These interface points, the planetary nodes, are a key to understanding how the chakras work for each of us in our natal astrology chart, a detailed account of our deeply-embedded likes and dislikes, literally our inclinations and disinclinations. I have had a number of astrologers that I respect tell me that my interpretations of these planetary nodes touches something very deep in them. I also find this to be so. A few years ago I decided to write out my interpretation and to create a personal report so that anyone who wanted to explore their own chart in terms of these nodal chakras could do so. That report is called "Life Chakras," and here is a very short video about that report which you might enjoy. 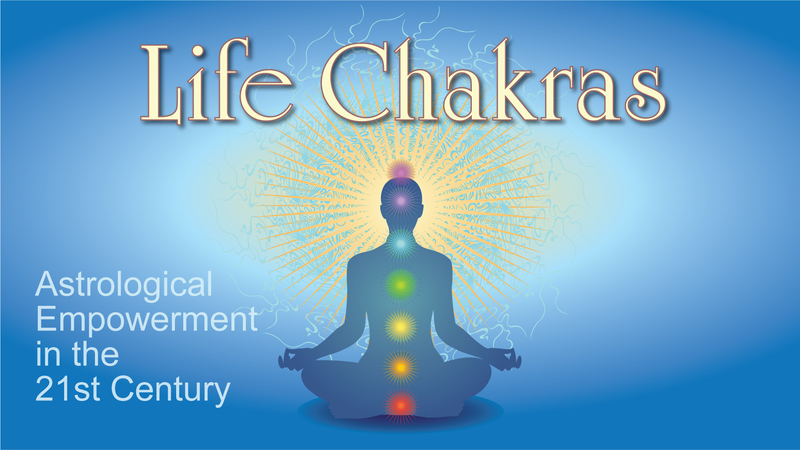 If You Wish, Your Personal "Life Chakras Report"